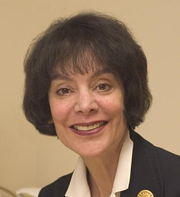 FRIDAY, MAY 9 9780345472328 4:30 (educator focus) and 7 pm (general public) Evanston Township High School, 1600 Dodge Ave. Two FAN Presentation CAROL DWECK, PhD Mindset: The New Psychology of Success Stanford University psychology professor Dweck, widely regarded as one of the world’s leading researchers in the fields of personality, social psychology, and developmental psychology, speaks on the subject of her new book. She explains how with the right Mindset, parents can motivate their children and reach their own personal and professional goals. Stanford University psychology professor Dweck, widely regarded as one of the world’s leading researchers in the fields of personality, social psychology, and developmental psychology, speaks on the subject of her new book. She explains how with the right Mindset, parents can motivate their children and reach their own personal and professional goals. Carol Dweck is currently considered a "single author." If one or more works are by a distinct, homonymous authors, go ahead and split the author. Carol Dweck is composed of 4 names. You can examine and separate out names.